Antarctica is icy—probably icier than you think. It is so icy that it could elevate the global sea level by more than 60 meters if it melted entirely. It is also so cold and so wide that it affects the climate of the whole earth. It is thus hardly surprising that this huge continent deserves the attention of the scientific community. Regrettably, such environmental conditions make conventional exploration and monitoring—or even human life—almost impossible. Thanks to optical satellite sensors currently monitoring Antarctica several times a day, scientists have been able to give a rough estimate of its surface temperature. Unfortunately, we do not know whether the temperature remains stable or not, even though this would make a big difference for the future of mankind. One weakness of optical sensors is that they can become blind if weather conditions are not good and therefore, they are not always able to provide information on temperature. Moreover, they only have access to the snow surface of the ice. To overcome these limits, Dr. Marco Brogioni has decided to use the microwave passive satellite sensors to retrieve temperature information. His idea is to extend this approach, which is currently used in some parts of Antarctica, to the whole continent. This method has two main advantages: not only can electromagnetic waves see through clouds, but they can also see the subsurface of ice. They can penetrate the snow surface up to one meter deep. The inner part of the ice is in fact more stable, as it is much less influenced by meteorological conditions, such as the intensity of the sun or the presence of clouds. This means that the data retrieved from the subsurface of the ice allows for more stable and accurate knowledge about the evolution of temperatures in this region. According to Dr. Brogioni, it is possible to deduct the temperature of the ice from the intensity of the electromagnetic waves emitted by it. Working at the forefront of electromagnetic modeling for remote sensing, he has developed an innovative model to interpret electromagnetic-wave emissions, so as to calculate changes in the climate. Understanding the trends of energy in Antarctica could thus help monitor the global warming process. Dr. Brogioni’s findings will contribute to the IPCC’s future reports on climate change and be useful for future recommendations on global warming to policy makers. Marco Brogioni was born in Siena, Italy in 1976. He earned a degree in Engineering from the University of Siena in 2003 with a thesis in the field of the Geometrical Theory of Diffraction. Since 2004, he has been with the Istituto di Fisica Applicata - IFAC, Consiglio Nazionale delle Ricerche, Sesto Fiorentino, Italy, working in the Microwave Remote Sensing Group. In 2005 he began a PhD in Remote Sensing at the University of Pisa and earned his PhD in 2008. In 2006 and 2007 he was a visiting student at the University of California, Santa Barbara. His research deals with passive and active microwave remote sensing applied to snow by using satellite (AMSR-E, SSM/I, ASAR, Quikscat, SMOS) and ground-based data. Moreover, his studies involve the development of electromagnetic models for passive and active microwave remote sensing of snow and soil. He has been involved in several Italian and European projects carried out by the MRSG at IFAC (also as a work package leader). Since 2005, he has served as a reviewer for the IEEE Transaction on Geoscience and Remote Sensing and for the IGARSS symposiums. In 2008, he was part of the local organising committee for the 10th Microrad symposium held in Florence, Italy and in 2010 he was on the local organising committee for the 2010 Microwave Signature Symposium of the URSI Commission-F, also held in Florence. In 2008, he was awarded third prize at the URSI GA Student Prize Paper Competition in Chicago, and he was also selected by the AXA Research Fund for a Post-Doctoral grant to study of the evolution of snow temperature in Antarctica. In 2009, he obtained the renewal of the AXA fellowship for a second year. The AXA fellowship gave me the unique opportunity to conduct research on a very important topic for the environmental scientific community: developing a technique for assessing the effects of climate changes on Antarctica. This opportunity was very important to me since national agencies and universities usually do not support post-doctoral students for research on such topics. The fellowship also gave me the chance to meet other researchers and students at the AXA Talent Days and at the international symposiums that I attended over these past two years. My experience with the AXA Research Fund community was very nice since I met students who belonged to other scientific communities and exchanged ideas and suggestions with them. I also had the opportunity to attend interesting lectures given by two important professors and get new ideas for my career. My research focuses on investigating the evolution of the East Antarctica Sheet surface and sub-surface temperatures by means of satellite microwave radiometric data collected by the spaceborne radiometer (AMSR-E and SSM/I) and ground data collected by the Automatic Weather Stations (air and snow temperatures at different heights/depths), in order to retrieve the snow temperature in those regions which are unexplored and also to monitor the effects of global warming on the continent. Marco Brogioni is an AXA Post-Doctoral fellow at the IFAC-CNR Institute in Italy. In the last few decades, there has been growing interest in the study of natural phenomena due to climate change and the intensification of natural disasters. Although some groups claim that the scientific results are controversial, the Intergovernmental Panel on Climate Change has established that there is evidence that the greenhouse gasses produced by human activity have had a significant impact on climate change and global warming. Among all the topics investigated by researchers, special attention has been paid to the cryosphere (e.g. portions of the Earth’s surface with solid water) because it represents one of the most important indicators of climate change. 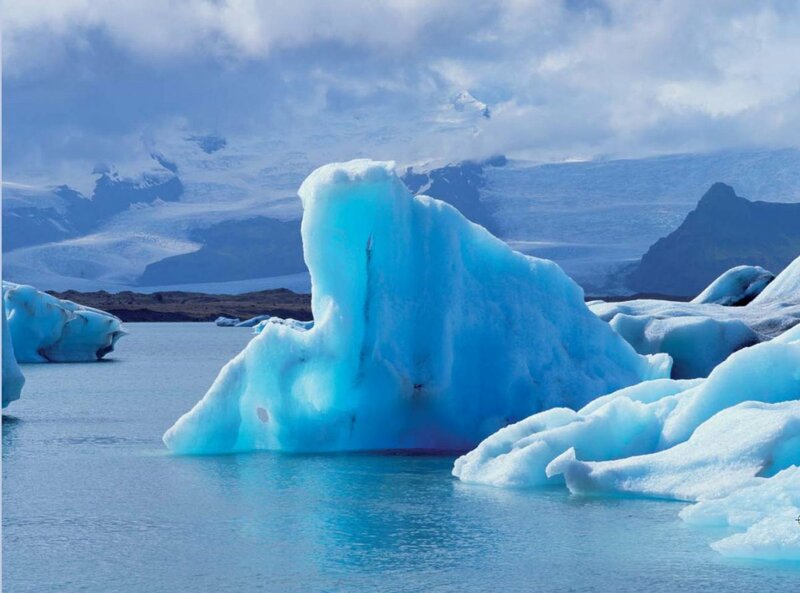 Many glaciers, the Greenland ice sheet, permafrost and frozen ground, the snow cover and Arctic sea ice are exhibiting dramatic changes that alter ecosystems and consequently human life. In this scenario, Antarctica plays a fundamental role in the global climate. 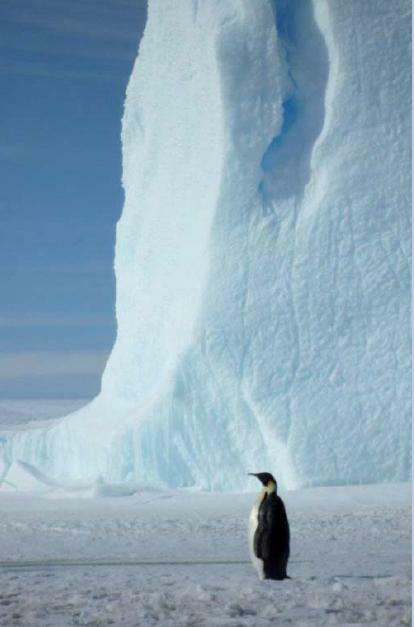 First, Antarctica is the coldest place on Earth and it is 1.5 times wider than Europe. This means that the melting of its entire snow cover could contribute to a rise in the global sea level by more than 60 meters. Although it directly affects the Earth’s climate, Antarctica is the most unexplored and under-sampled area of Earth. Exploration has been minimal due to its extreme environmental conditions – the temperature on the plateau ranges from -25°C in summer to -80°C in winter – which makes human activity there very difficult. These difficulties can be partially overcome by using remote sensing techniques that rely mainly on satellite-measured data. In fact, these techniques dot not require a human presence on the continent and can be used to obtain estimates of surface and subsurface characteristics. The situation on the East Antarctic plateau is not yet critical, although the Peninsula and West Antarctica are experiencing some major melting phenomena. The Antarctic plateau, which represents 76% of Antarctica’s area, is extremely important to atmospheric and oceanic circulation and its changes are a significant indicator of global climate trends. To know what is happening in the Antarctic environment is key to understanding climate trends in the near and long term. The use of microwave passive satellite sensors will allow us to create subsurface snow temperature maps, which can be useful for determining the spatial and temporal trends of the energy contained in the Antarctic snowpack and thus in monitoring the global warming process. What are the concrete impacts of the melting of the snow caps? The melting of the snow caps is both a consequence and a cause of global warming. The snow surfaces reflect about 90% of the solar radiation that reaches the Earth’s surface. The more the air and ocean temperatures rise, the more the snow and ice melt and the less the sun’s radiation is reflected. Thus the sun’s radiation warms up the sea and soil and the warming process accelerates the melting of ice. This is called “positive feed-back” and seems to have a large impact on the global climate since it increases the impact of weather phenomena. For instance, a dramatic consequence would be the disappearance of the northern polar cap during the summer (which is forecast to happen over the next few years). 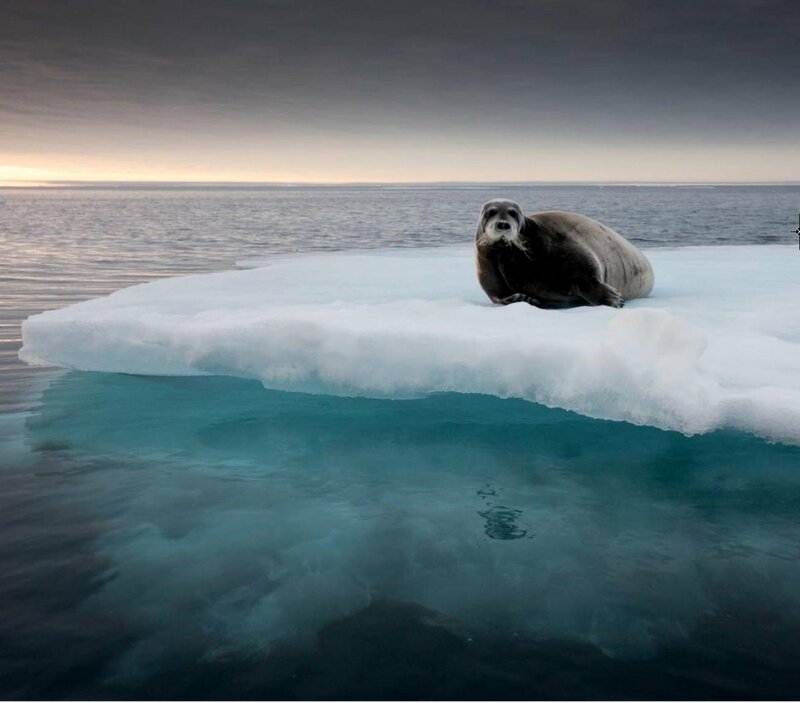 All animals living on the ice may be threatened with extinction (e.g. polar bears). What is a passive microwave satellite? A passive microwave satellite is an artificial satellite that orbits the Earth at an altitude of about 700 km and carries a microwave radiometer. The latter is an instrument that measures the electromagnetic radiation naturally emitted by the Earth’s surface. Depending on the measured radiation’s features, it might be possible to infer the characteristics of the emitting surface.